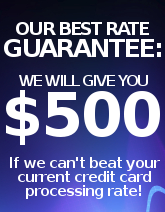 ﻿ High Risk Credit Card Processors The Best Rates! If you are looking for a High Risk Merchant Account, look no further. We specialize in High Risk, Adult and Offshore credit card processing. In-depth knowledge and experience in this particular marketplace guarantees professional and educated service—we have 6 years of experience in the industry! Please read below for a summary of our different high risk merchant account options; however, for a comprehensive quote on your particular business needs, please submit an application and one of our account managers will respond to you within 24 business hours. Please find a short list of the high risk solutions that we work with; for a comprehensive quote, please submit an application, and we will place your account with our best solution for your business needs. · No reserve required on qualified accounts, Daily payouts within 24-72 hours, No Wire fees. · Fast Approval and setup, usually 3-4 business days. · Can Approve most MLM's, Business Oportunities, Adult merchants, Inbound and Outbound Telemarketing merchants, credit repair companies, digital downloads, timeshare merchants, herbal medicines/remedies, and merchants with poor credit but with high volume needs, or new businesses expecting high volume sales! · Full API integration, NO secure buy-pages! · Fast Approval and setup--within 4-5 business days! · Very low or no setup and monthly fees, no application fee--pay ONLY when you are approved! · Perfect for online pharmacies, TMF'd merchants, companies outside of the UK or US, adult merchants with live content or streaming media, new international businesses without processing history, replica goods, and much more. · Perfect for merchants with established processing history of at least $10,000/month in sales. Must have at least 3 months of clean processing statements. Compare the savings, with rates in the 3-6%'s, and NO transaction fees to your current processor! 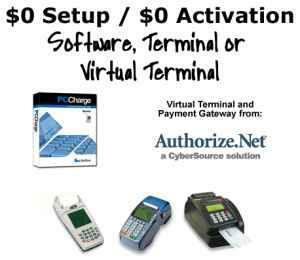 Adult Webmasters need an Internet merchant account to accept credit cards online. Money making adult merchant websites have special needs, and we have the right solution for you to keep making profitable sales. High Volume Merchant Accounts are often considered High Risk Merchant Accounts. We allow for you to benefit from no limits on credit card processing offshore, or high volume with poor credit in the US. Mail Order/Telephone Order (MOTO) and Internet accounts are used for both online credit card sales, or telemarketing sales. With our included software or gateway, you can capture sales from non-retail customers. Offshore Merchant Accounts are our specialty. There are many benefits to having your merchant account offshore. Find out how easy it is to secure your offshore account today! If you need offshore internet casino merchant accounts for casino, gaming and sports books, you have come to the right site. We offer the perfect casino account solution for your needs, please apply for a quote. Apply today and find out what we can do for your business. The high risk online application is free and carries no obligations.